Fish for Salmon or Halibut off Victoria Harbour can also be combined with our whale watching tour. SeaKing Adventures offers to set up a combination Fishing and Whale Watching tour. Prawn fishing with CaptainRon. Let’s watch How it is done. Salmon fishing around Victoria is great all year in the winter we catch winter Chinooks. Halibut fishing happens here from March till November we catch upto 150 LB here.Some Days the Cerant is to strong to fish for Halibut here. Captains Ron and John King caught this 240Ib. 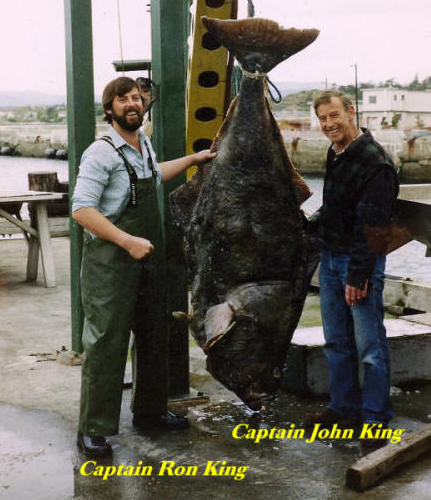 halibut commercial fishing on B.C.’s west Coast. So Far, this 53IB. 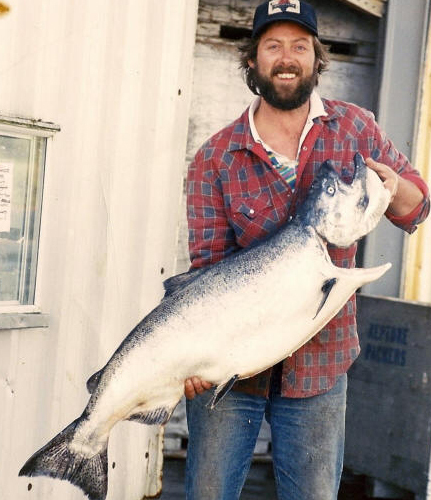 Chinook is hhe largest salmon caught by captain Ron. Alhtough Ron’s career began on his father’s salmon trawler at age 11, his favourite commercial fishery was tuna. This shows him on the back deck of C.F.V. 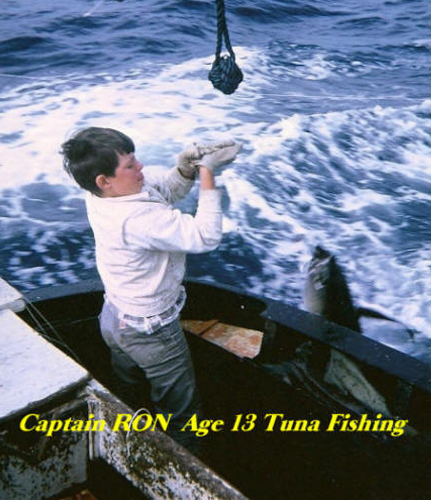 FiveKings commercialtuna fishing at age 13.